From Siem Reap we said goodbye to Angkor Wat and flew to Kuala Lumpur. 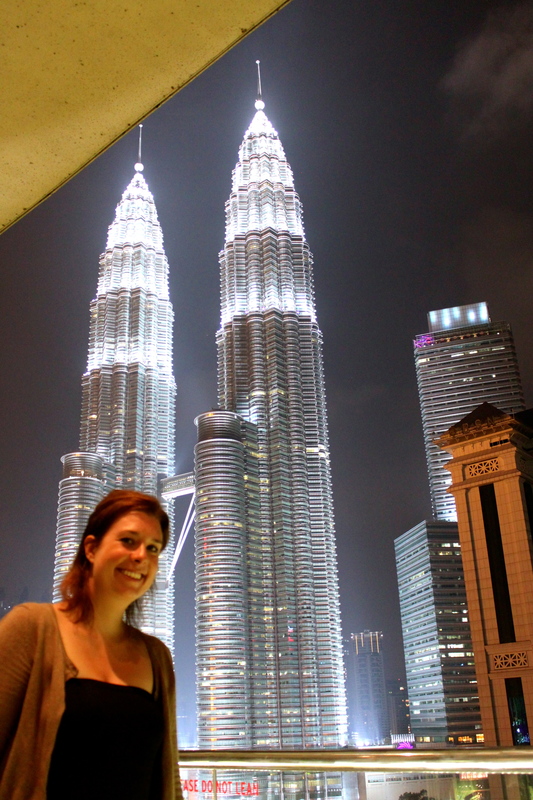 After three months in Cambodia, Malaysia seems like a different world. High rise flats, skyscrapers, the Petronas Towers all lit up, proper roads, McDonalds! 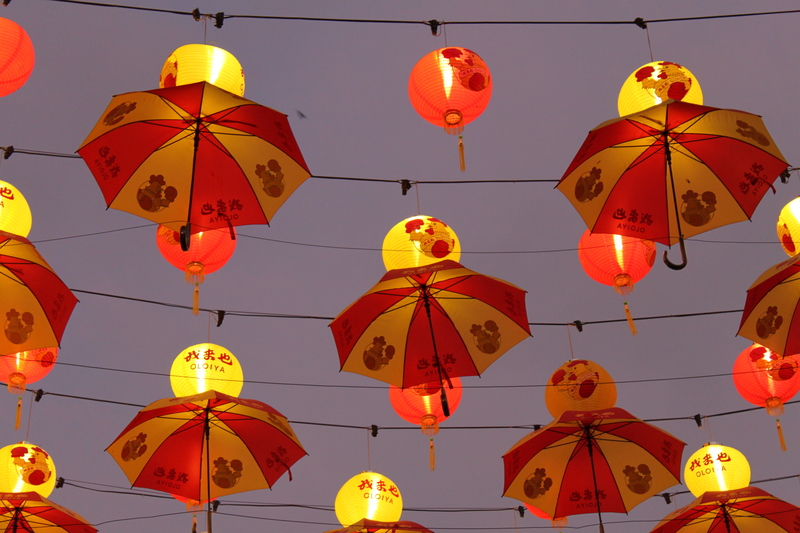 We arrived in the evening and were only staying for one night so we took a cab to Chinatown and Petaling Street where the night market is in full swing. We had a beer and watched the world go by before heading back to the hotel for a look at the most amazing view of the Petronas Towers from the hotel bar. We were up early for our three hour flight to Sandakan in Malaysian Borneo. 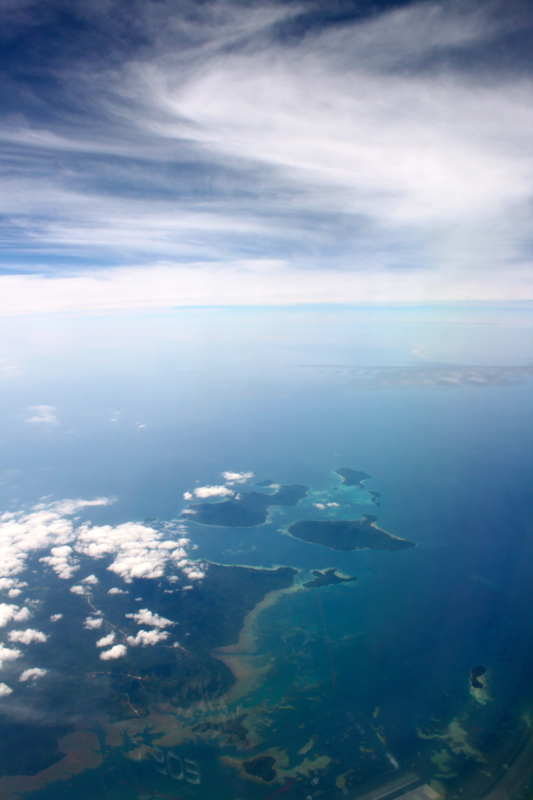 Sandakan is in the top right hand corner of Sabah, the Malaysian part of Borneo. It used to be the centre of the timber trade in the forties and the capital of Sabah, but during World War II the Japanese burnt the town to the ground and used Sandakan as a starting point for the death marches of 1945. 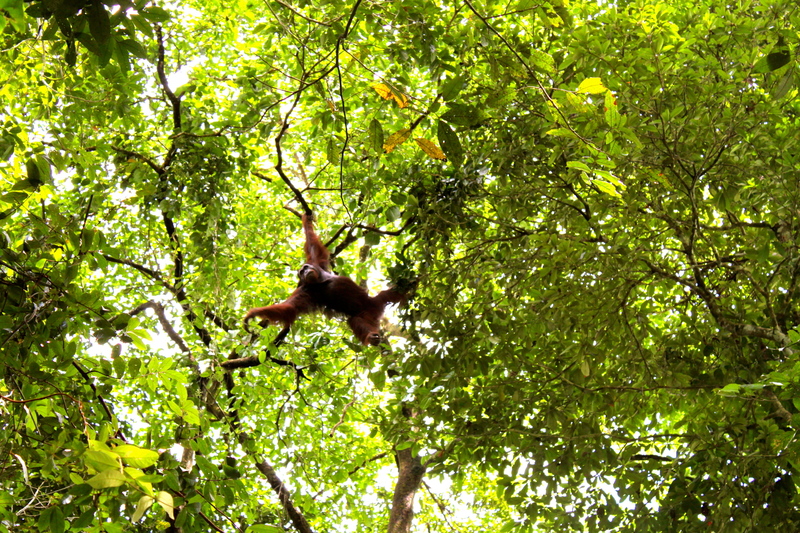 Nowadays it has a few things to see but is really just a gateway to the jungle. 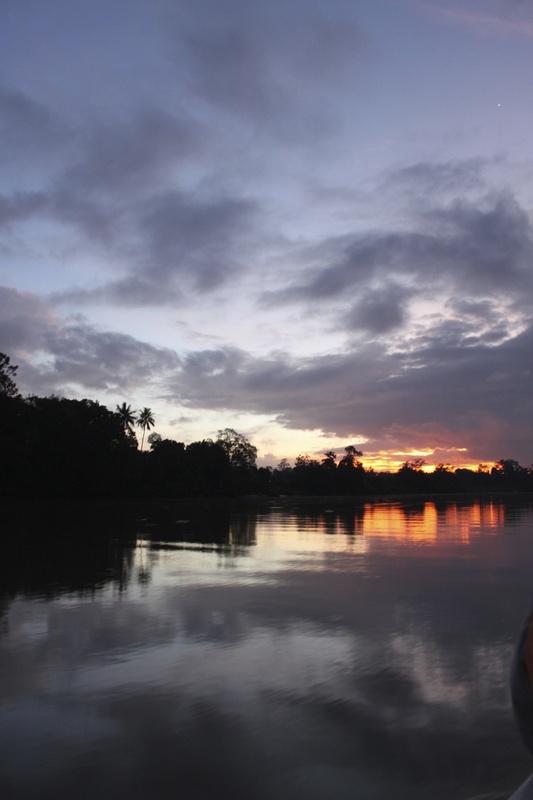 On day two in Borneo, our guide Joe picked us up and we headed overland to Sukau, a village on the banks of the Kinabatangan River. 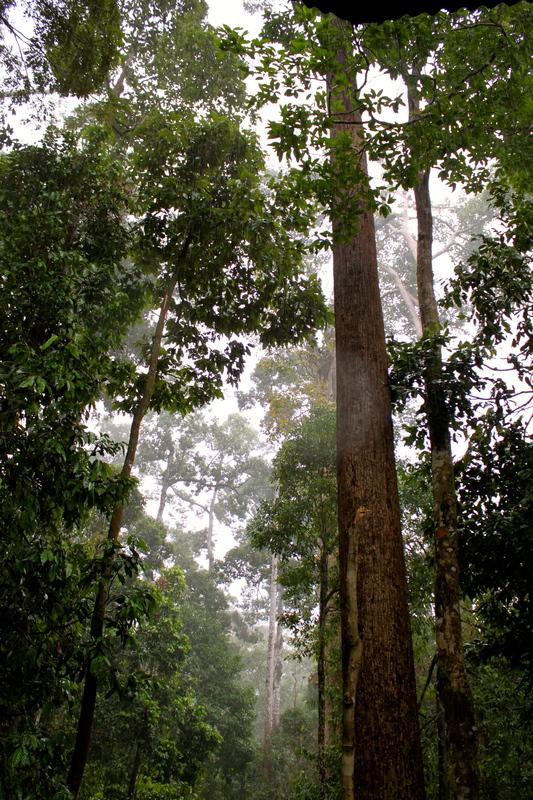 We took a short boat ride down to the Borneo Nature Lodge where we stayed for two nights and although it was threatening to storm, the rain held back long enough for us to go out on an afternoon river cruise through the jungle. 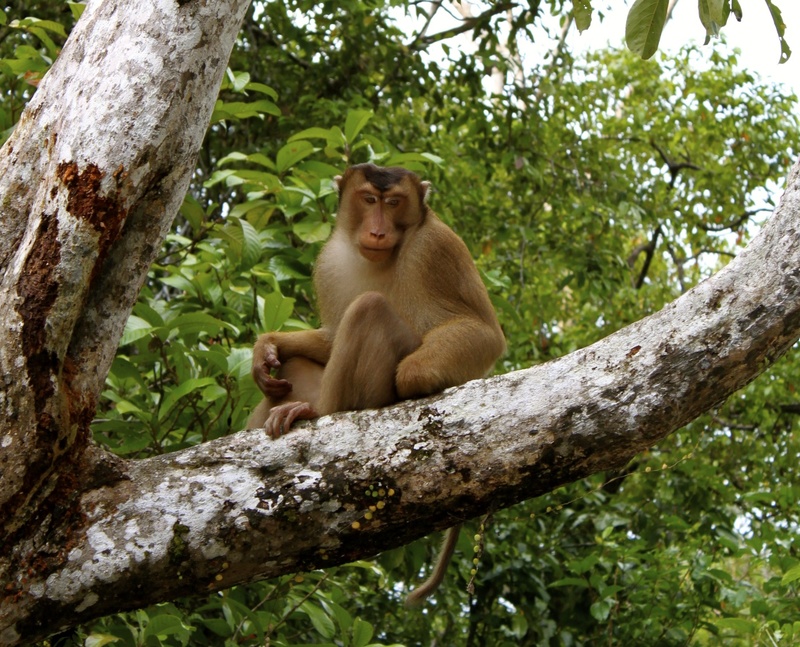 At 4pm many of the animals come down to the riverbank to catch insects and eat fruit from the trees. It was so peaceful and luckily, as we came in the low-ish season, there was hardly anyone else out. We saw loads of birds and monkeys, all with the most fantastic names; Wallace’s hawk eagle (my favourite) and the fantailed flycatcher, the glossy swiftlet and the oriental darter, the Brahminy kite and the crested serpent eagle, red leaf and silver leaf monkeys, a white-bellied fish eagle – all in all we saw over 20 different birds, 6 wild orang-utans, a yellow ringed cat snake, lizards and crocodiles, a pygmy squirrel and a wild bearded pig, over three boat rides. 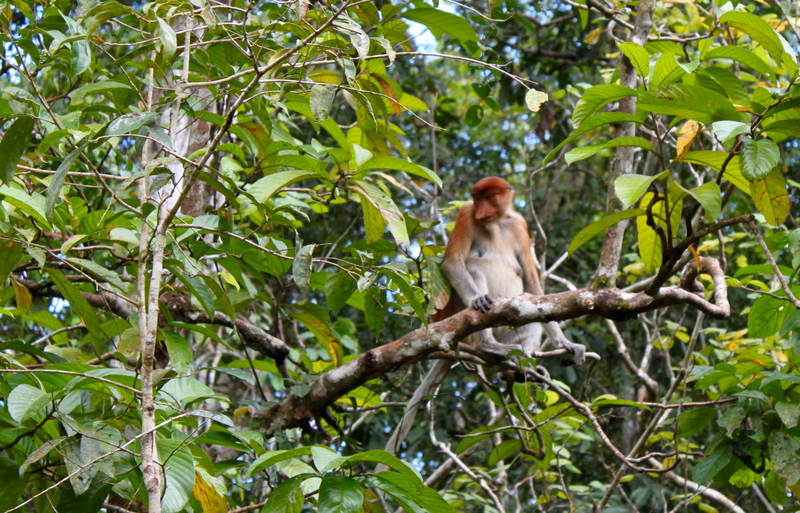 One of the highlights in the Lower Kinabatangan area, apart from our lucky sighting of the orang-utans, are proboscis monkeys (or the “ones with the rude noses” as Mum calls them). There were some fabulous butterflies too – I fell in love with the handkerchief butterfly. We also went to see the Gomantong cave. I can say without doubt it is the most disgusting experience I have ever had. The thousands of bats and the poo would have been manageable, but on entering the cave you can see what looks like a sea of chocolate drops. 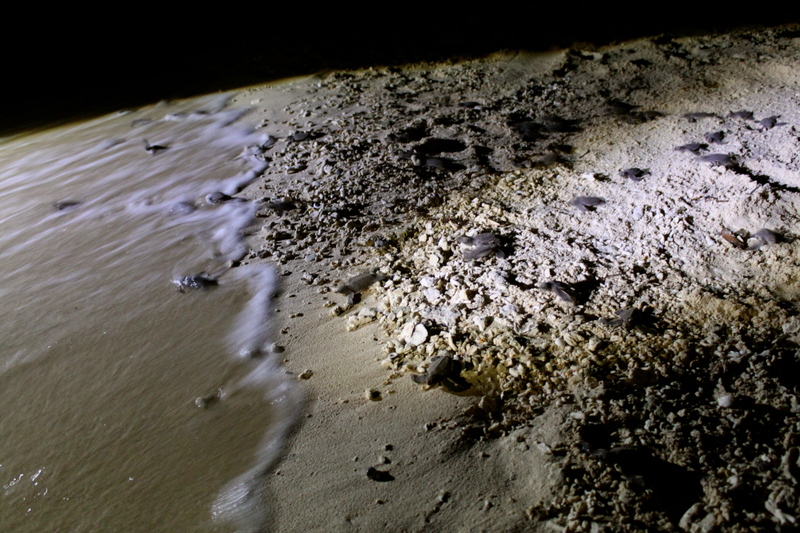 But as Joe walked into it, thousands of cockroaches came to the surface – it’s a sea of bat poo! An estimated two million cockroaches live in there – two million! There was a bat sitting on a little rock and Joe said if the bat didn’t move the cockroaches would eat it alive. Urgh!!!!! 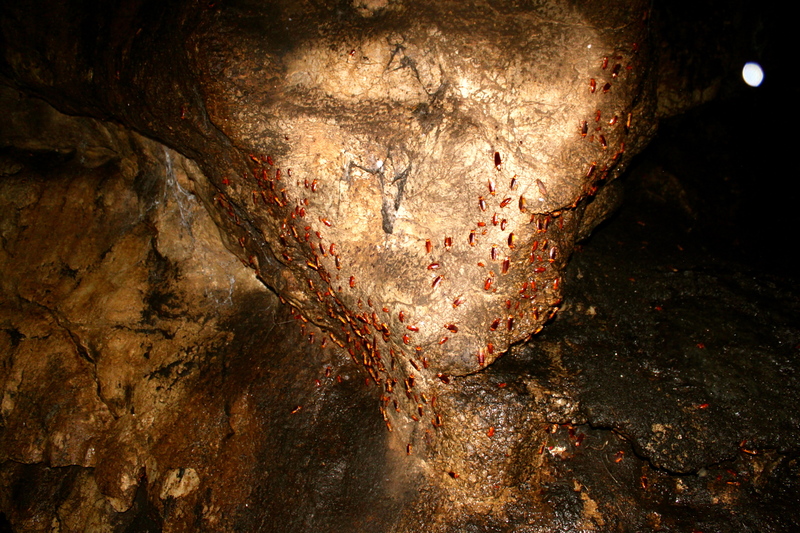 Luckily you walk around the cave on a boardwalk (covered in more poo) but if you spit over the side into the poo ocean, cockroaches come wriggling to get a taste. There are thousands all over the handrail, more on the walls, crawling everywhere. Unbelieveably, the guards (they are guarding millions of pounds worth of bird’s nests that are exported to China) LIVE in there! We saw their little huts in a corner surrounded by poo. 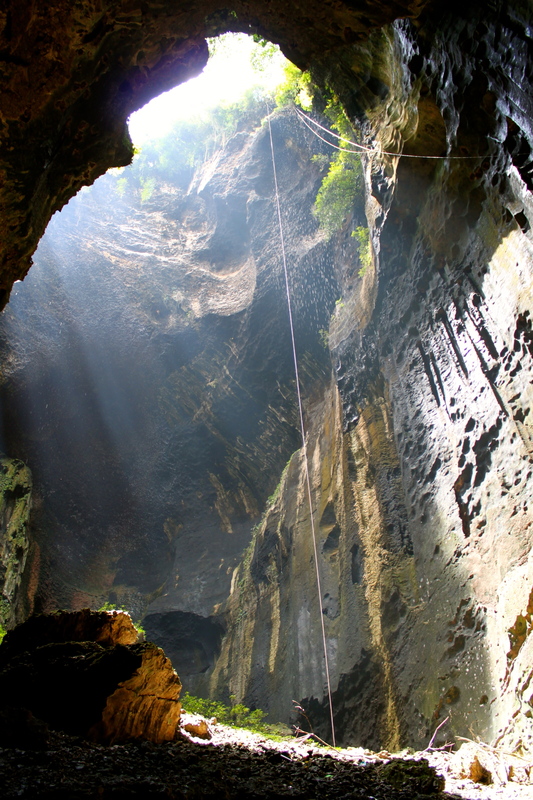 In one concave area of the rock there were huge centipedes – it was like Indiana Jones and the Raiders of the Lost Ark, except there were no spiders, thank God. After two nights at the Borneo Nature Lodge we headed back to Sandakan, straight to the jetty to catch the boat to Selingan Island, aka the Turtle Nature Park. 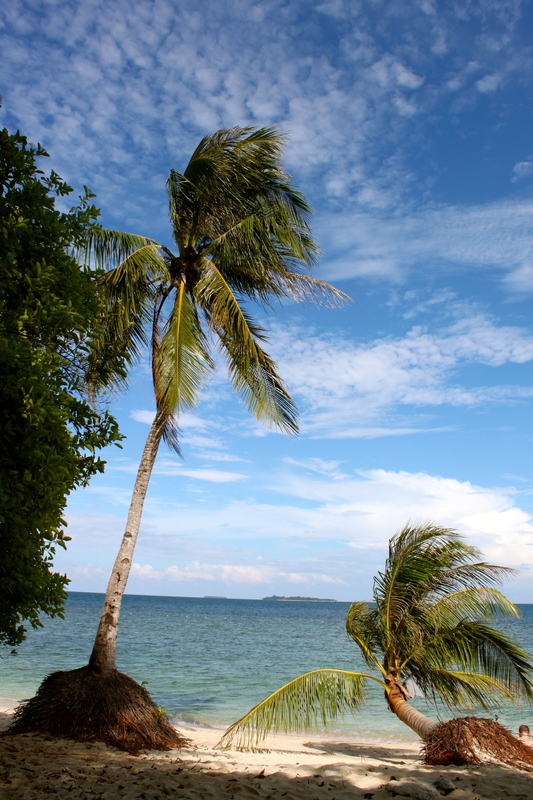 The island is about 40km offshore in the Sulu Sea and it took a very choppy hour to get there in the rain, but as soon as we arrived and settled in, the sun came out for the afternoon. 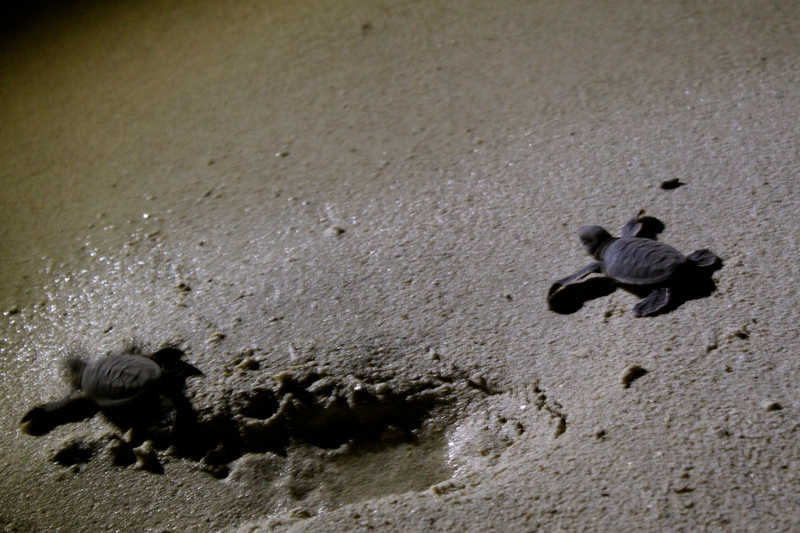 We spend our free time before dinner swimming in the sea, walking around the island and sunbathing as we waited for the main event: watching baby turtles get released into the sea and (fingers crossed) watching an adult green turtle give birth to her eggs. 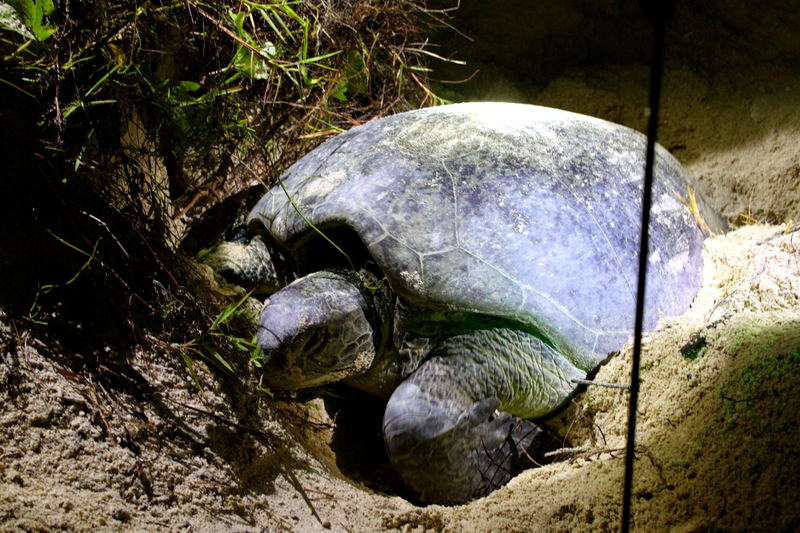 The guides had warned us that it could take hours for a turtle to come onto the beach, find a suitable nesting spot and get ready to start popping out eggs. Some people have had to wait until 3am. Apparently the turtles don’t like the rain so if it rains, it takes longer for them to come ashore. Low and behold the heavens opened just before our dinner at 7.30pm. So we settled in for a long evening ahead, thinking the worst. 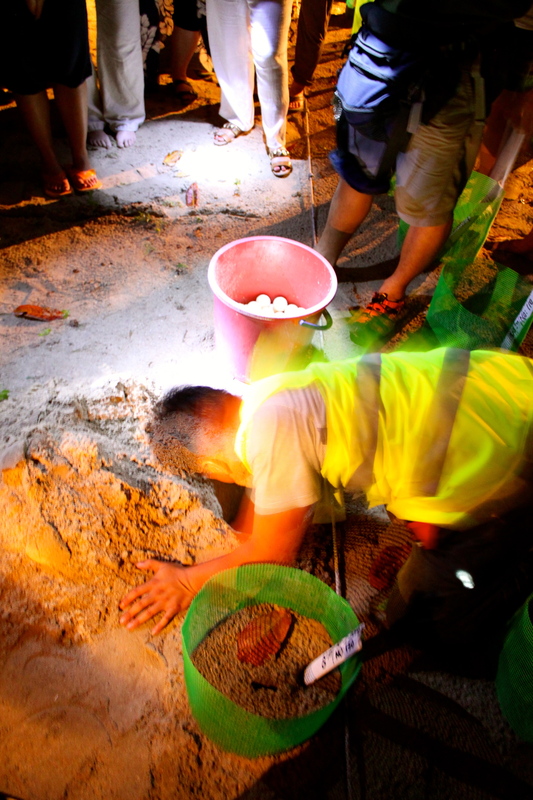 Luckily, we didn’t have to wait long as the first turtle landing was around 8.15pm, and we all scrambled down to the beach when the guard gave the ok at 9.15pm. 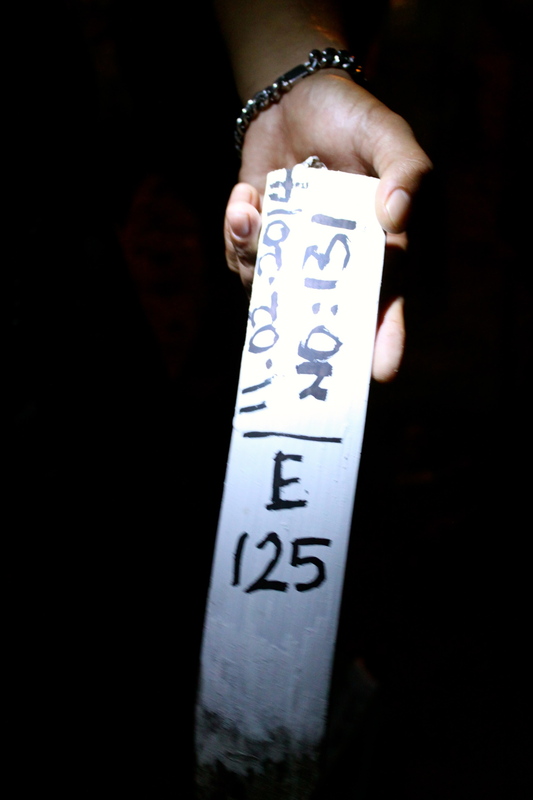 Our turtle gave birth to a whopping 125 eggs, she was 108cm long, 99cm wide and came to the island last about 7 years ago from the information on her tag. 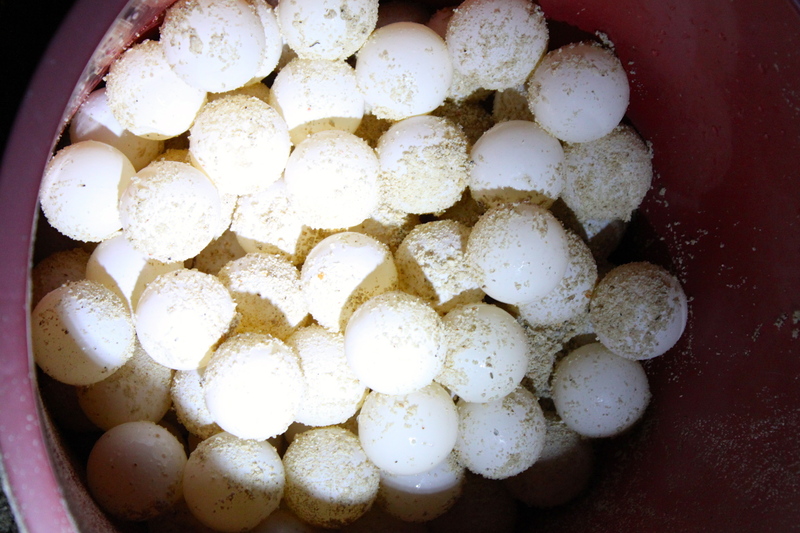 As she gave birth, the ranger was collecting the eggs up and putting them in a bucket to transfer to a hatchery so the babies have a greater chance of survival. 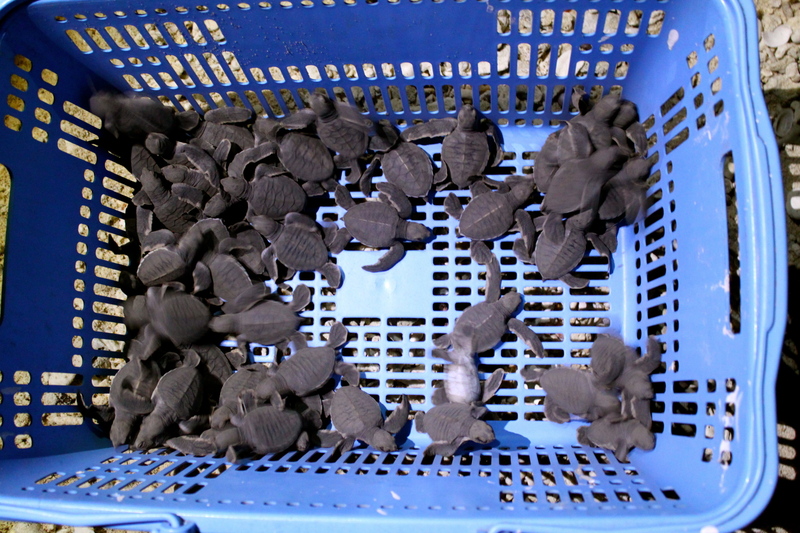 Then, once everything was safely buried and labelled, we headed back to the beach to watch the new hatchlings run across the sand to the sea. It was amazing!!! It was also well managed, so even though there were about 30 tourists there, it wasn’t a scrum to get a photo. 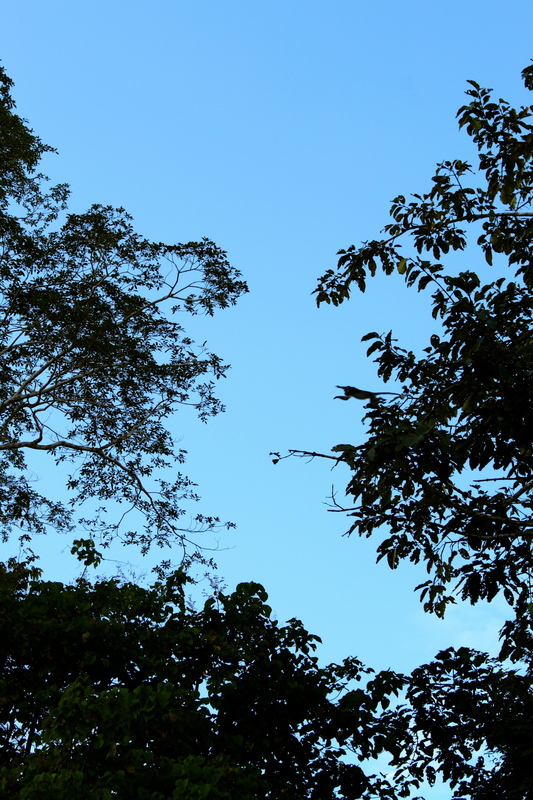 When we returned to Sandakan the following morning, we went to the Sepilok Orang-utan rehabilitation centre where we watching the feeding time and saw the Bornean sun bear in the conservation area next door. We also walked the 347 metre canopy walkway, 25 metres above an area of primary rainforest at the nearby Rainforest Discovery Centre too. It was raining quite hard (still boiling hot though) and so all the birds were hiding but it was still a spectacular view out from the observation towers. On our final day in Sandakan we drove out to the Sandakan Memorial Park, a centre and remembrance gardens for all the soldiers who died such dreadful deaths during the Japanese occupation of the then British North Borneo during the Second World War. It was so interesting to read and hear about what happened there. There is so much history that you just don’t learn at school. 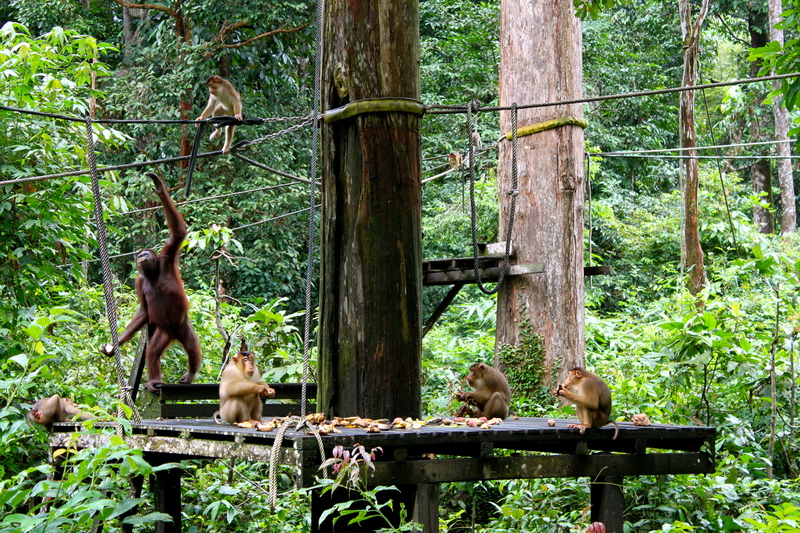 Borneo was truly magical, I had such a great time especially as Mum and Dad were there too. 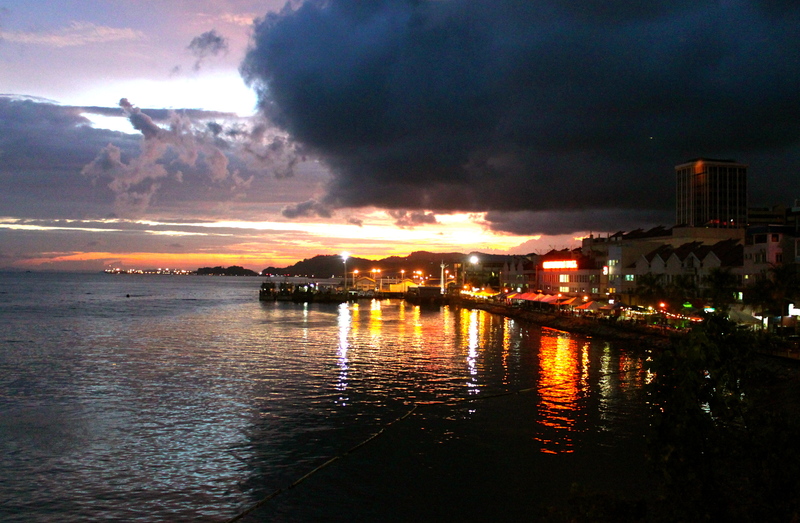 Next stop is Penang, bring on the beach! Dear Alison, Thank you for sharing your Magical experience with your Mum and Dad, lovely photo of you in front of the Towers ! The photos are all spectacular to see. Enjoy the rest of your time together, love to your Mum and Dad.